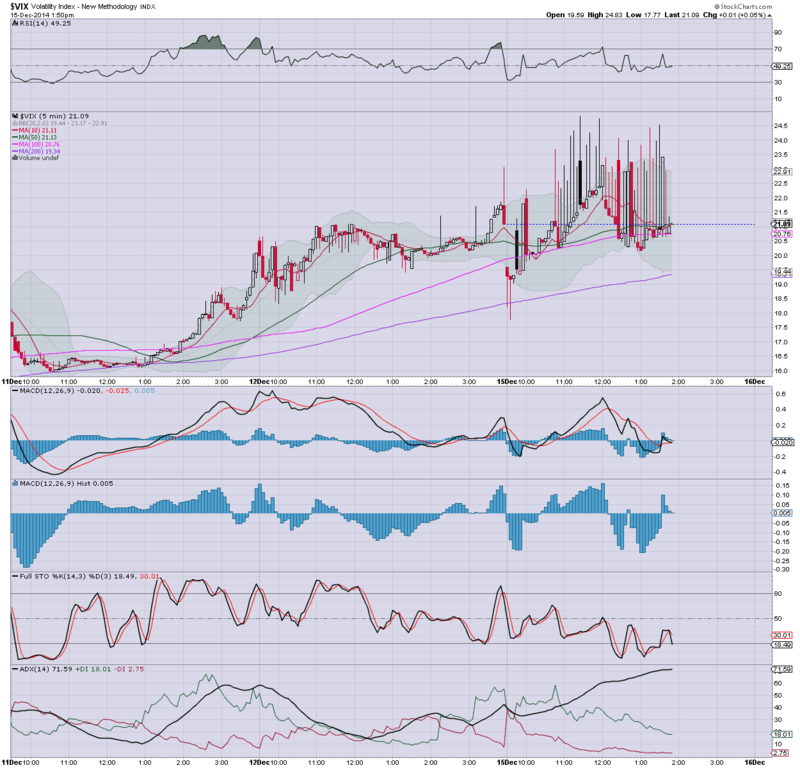 With equities having (probably) put in a cycle low of sp'1982, the VIX has started to cool, settling -3.1% @ 20.42. There were some very 'kooky' price prints (as high as 24.83) across the day, but most are to be dismissed as 'unreliable'. *the spikes on the 60min, or small trading cycles are truly bizarre. There were a fair few 'weird prints' on the VIX on Friday, but today was a consistent day of 'weird' price action. Frankly, I've no idea if it was merely a CBOE problem.... but whatever it was.. the spike prints are arguably to be dismissed as 'noise'. 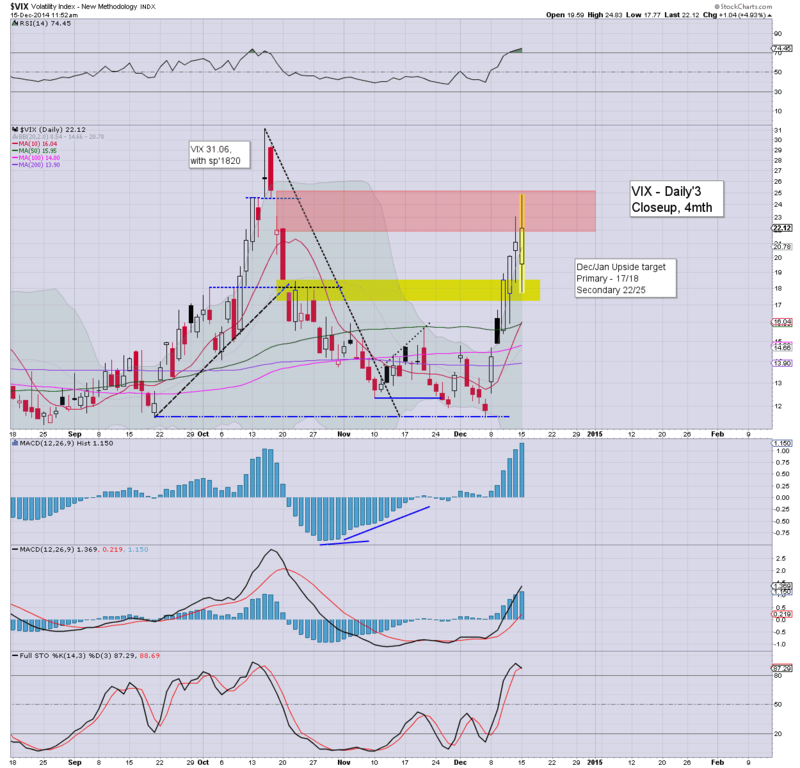 VIX looks set to cool into year end. 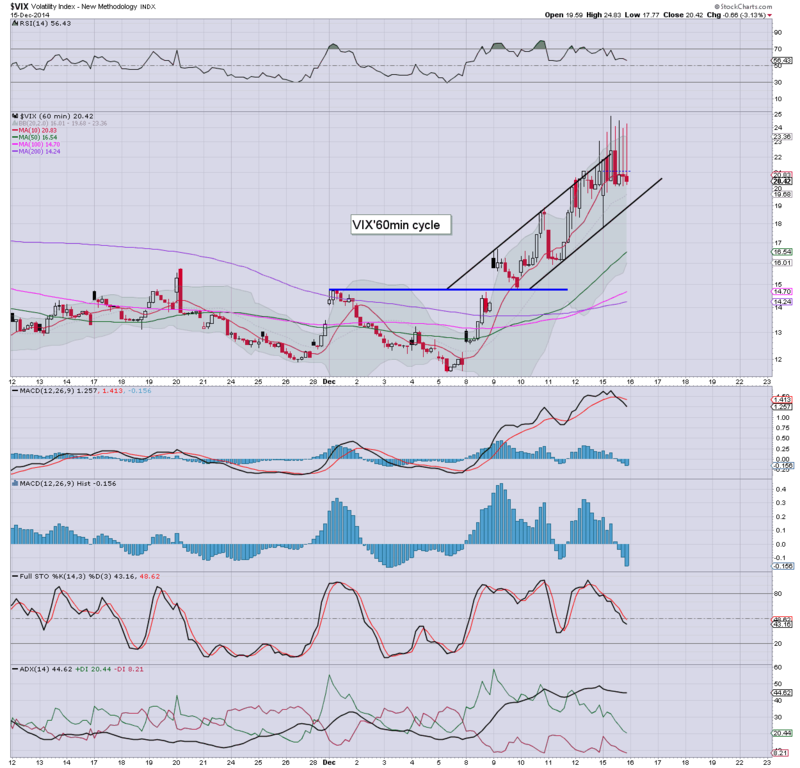 By mid/late January, VIX 12/10 zone looks very viable, not least if sp'2100s. US equities closed moderately lower, sp -12pts @ 1989 (intra range 2018/1982). The two leaders - Tran/R2K, settled +0.2% and -1.0% respectively. 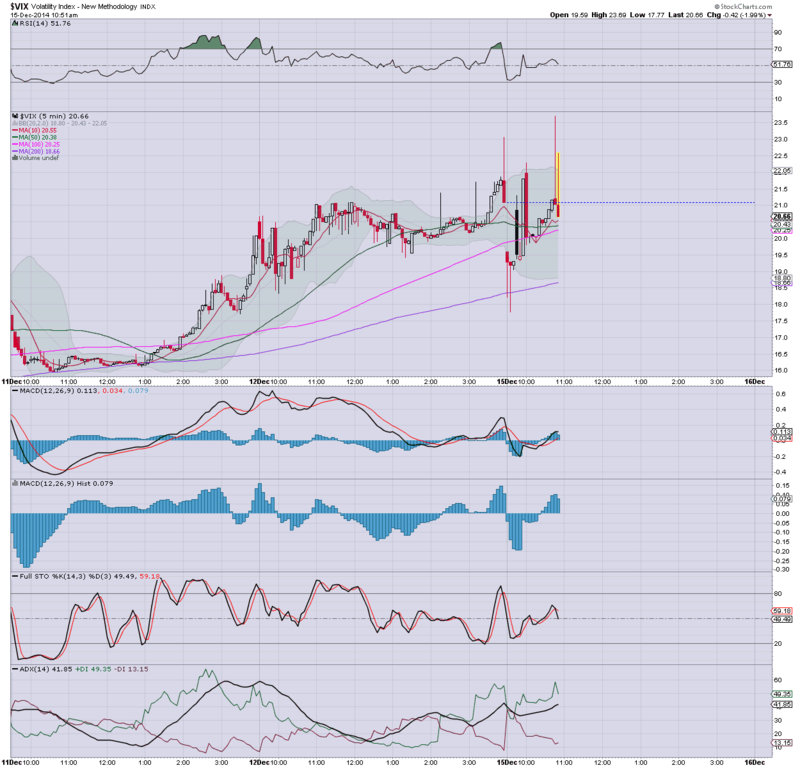 Near term outlook offers a key floor of sp'1982.. before renewed upside to 2030/40 by end week. With some dynamic price action today.. a full set of updates across the evening.. to wrap up the day. US equities look set for continued chop into the close, having lost early morning gains (intra high sp'2018)... swinging to a new cycle low of 1982. Equity bears have had plenty of opportunity to exit, there can be no excuses after the Yellen opens her mouth this Wednesday afternoon. Interesting day.. and its pleasing to have some decent price action to speak of. Underlying MACD (blue bar histogram) on the hourly cycle.. ticking higher.. a bullish cross is very viable Tuesday morning.. which will open up 2030/40 by the quad-opex close. Personally, I'd be very surprised if we take out today's low of 1982. 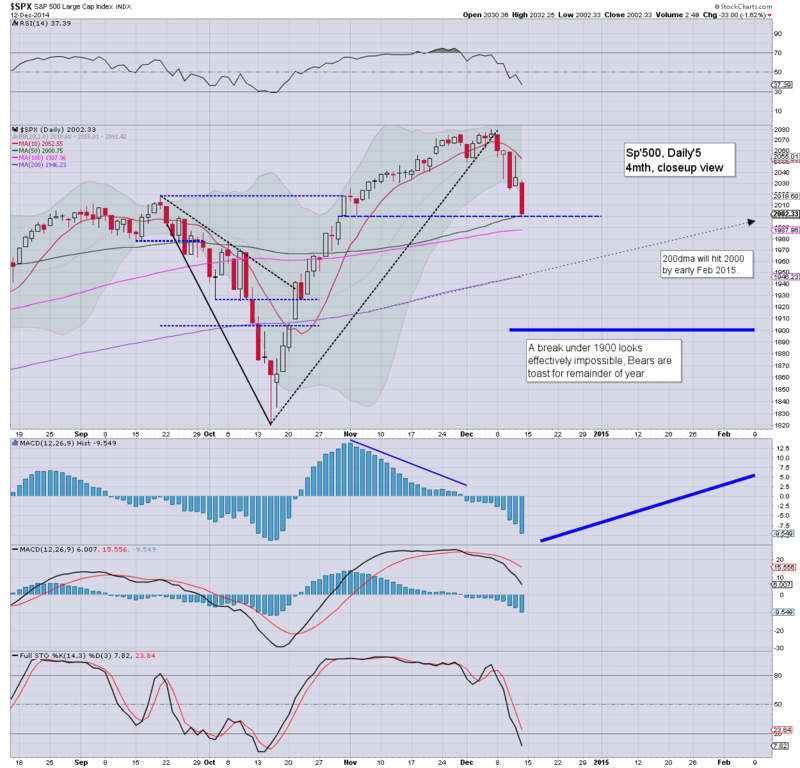 Equity bears should be VERY mindful of a possible bullish MACD cross.. early tomorrow. 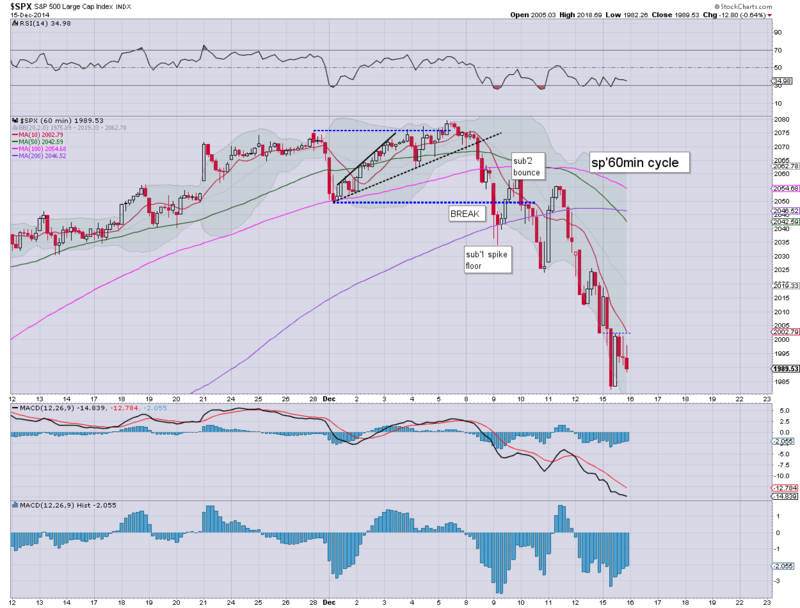 It would likely cement sp'1982 as a cycle low. 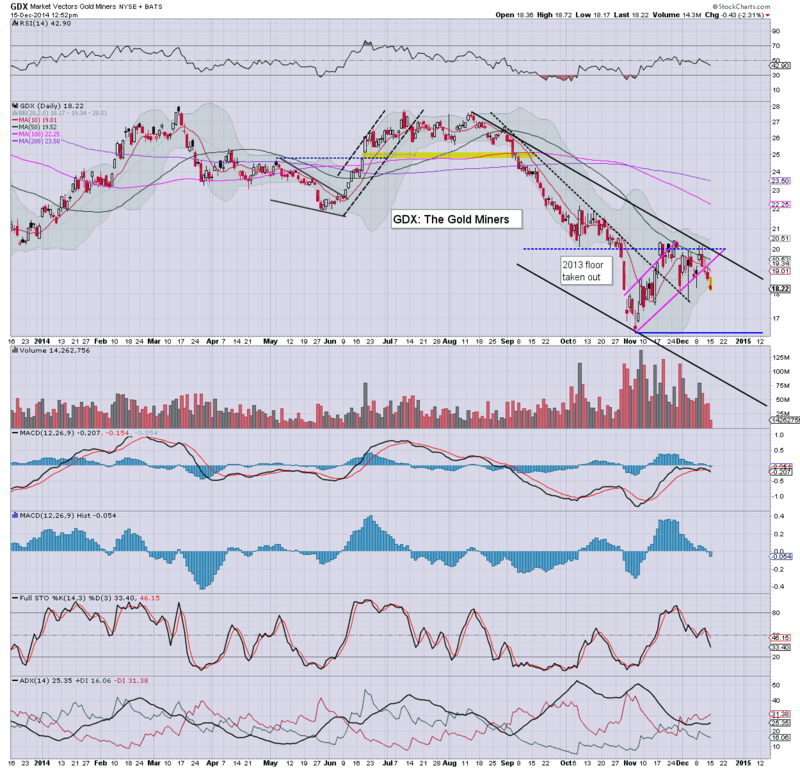 Metals are looking really weak.. and I'm still of the view that metals/miners will fall into year end. 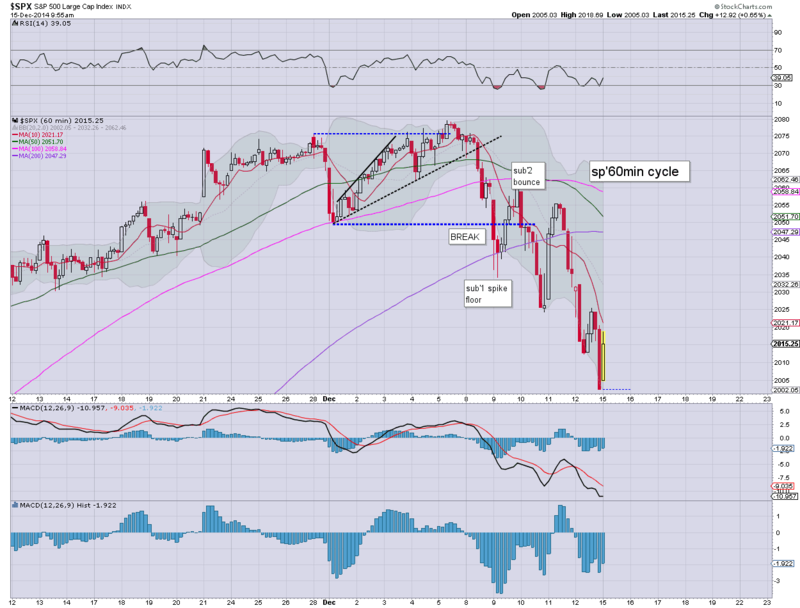 US equities continue to slide, with the next support level at sp'1980 (38% fib retrace).. or the ultimate core of 1950 - where the 200dma is lurking. 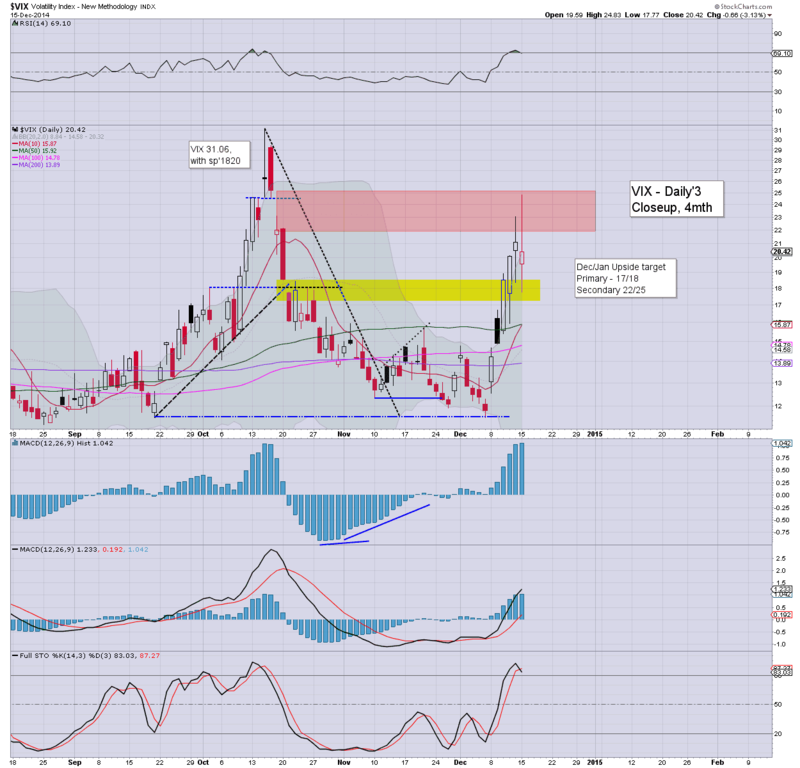 VIX remains extremely twitchy, with a brief spike 24.83.... almost fully filling the secondary gap zone of 22/25. So.. which will it be.... 1980.. or 1950. Whilst equities have turned fractionally red across most indexes, the kooky action is in the VIX.. which remains exceedingly 'twitchy'. VIX has seen some bizarre price prints from 17.77, to 23.69. The upper gap zone of 25 remains viable.. if sp'1990/80.. whether late today.. or tomorrow. So... opening gains.. major fail. 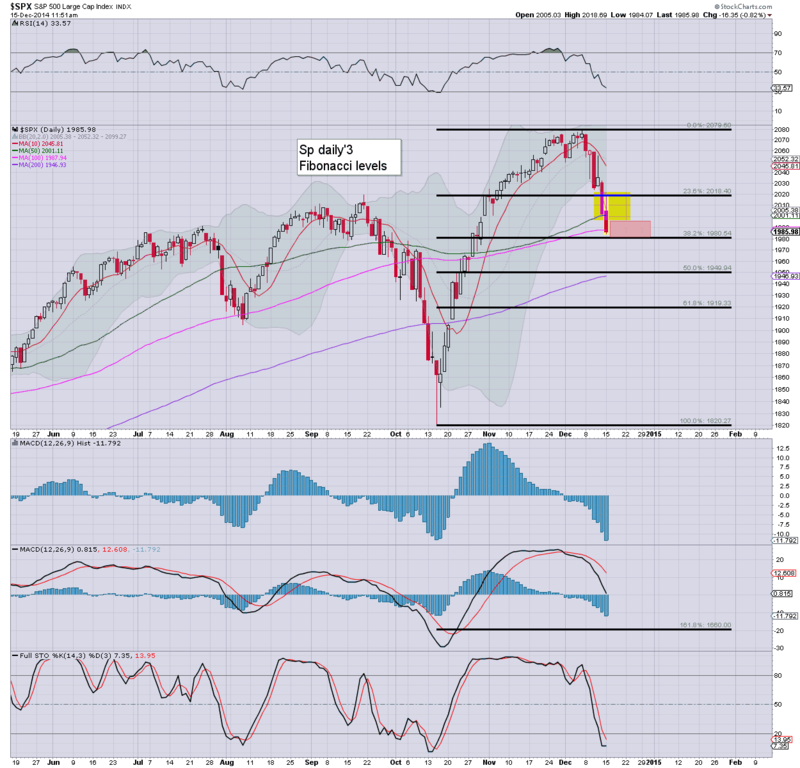 Overall... time for the equity bears is running out. There can be NO excuses after Wednesday afternoon. time to shop.. back soon. 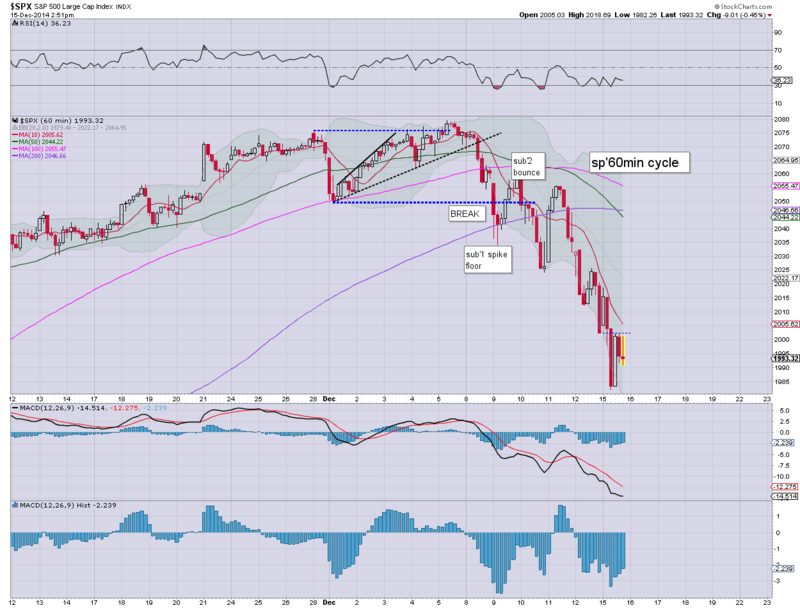 US equities open higher, but the trend from last week remains bearish for another few days. Metals remain weak, Gold -$12. Oil has turned lower, -0.4%. The window for equity bears is closing.... Yellen will be here Wednesday. No doubt, a lot of equity bears are getting real annoyed, but there remains high chance of another wave lower. If sp'2000 fails... then 1980.... but really, that merely make for a better buying level. stay tuned. We have an interesting week ahead! Good morning. Futures are moderately higher, sp +6pts, we're set to open at 2008. Metals are weak, Gold -$3. Energy prices are rising, Nat' gas +2.0%, whilst Oil is +0.4%. With Yellen due on Wednesday, the equity bears are fast running out of time. So.. we're set to open a little higher, but really, its nothing significant, and with still a few days until the FOMC, there is high chance of another wave lower, late today... or tomorrow. In either case.. the FOMC clock is ticking, and we're getting real close to a key turn.. with much higher levels due into next year. 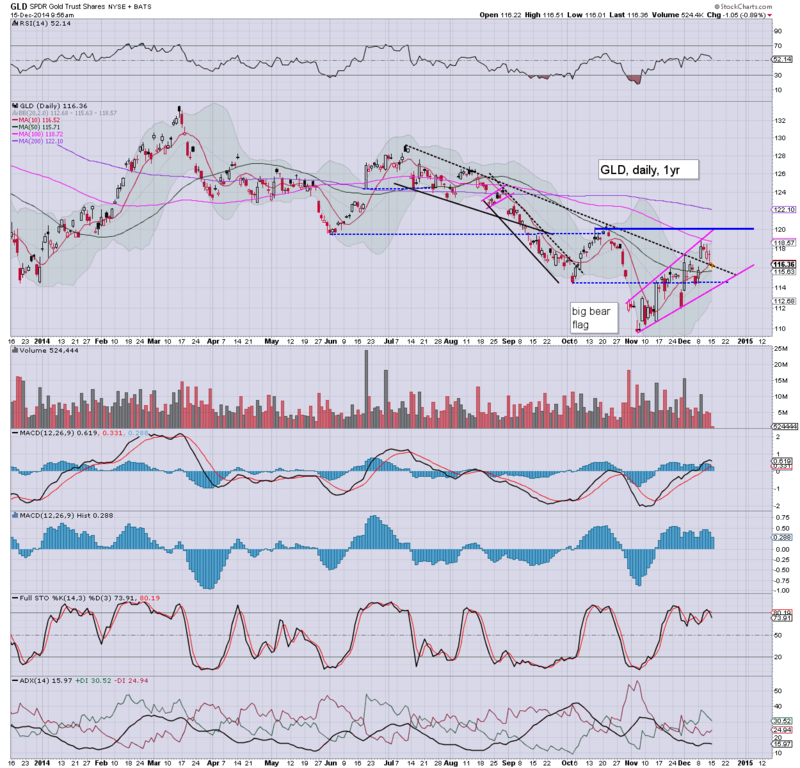 Notable early weakness, GDX -1.6%.. with a likely down week for Gold.. esp' post FOMC.